And answers the question - what will we be Magic Leaping in? Make fun of Google's augmented reality smartglasses and what does it do? Hide away making internet balloons and let Microsoft swoop in and take all the glory? Hells no. It puts Tony Fadell in charge of the project and invests in the super secretive AR startup Magic Leap. Now with new details of a patent application for Glass holograms, the pieces of the puzzle are coming together. Google is aiming to bring projected holograms to its smart eyewear and it's incredibly likely that Magic Leap will be involved. Google files for patent after patent after patent but that doesn't mean we should ignore evidence of what it's working on when we get it. The title of the patent is 'lightguide with multiple in-coupling holograms for head wearable display'. The patent essentially describes technology that will allow multiple CGI holograms to appear in the real world when the user is wearing a see-through smart eyepiece. It focuses on the problem of mapping real world light sources onto AR digital objects - in other words, holograms - an incredibly tricky problem and one that Oculus Rift CEO Brendan Iribe mentioned as a reason to pursue VR over AR. The only mention of field of view is in the list of challenges for headgear but we hope Google is looking into improving on Microsoft's efforts. As for the uses of AR, Google's patent states: "Public safety applications include tactical displays of maps and thermal imaging. Other application fields include video games, transportation, and telecommunications. There is certain to be new found practical and leisure applications as the technology evolves; however, many of these applications are limited due to the cost, size, weight, field of view, and efficiency of conventional optical systems used to implemented existing HMDs." 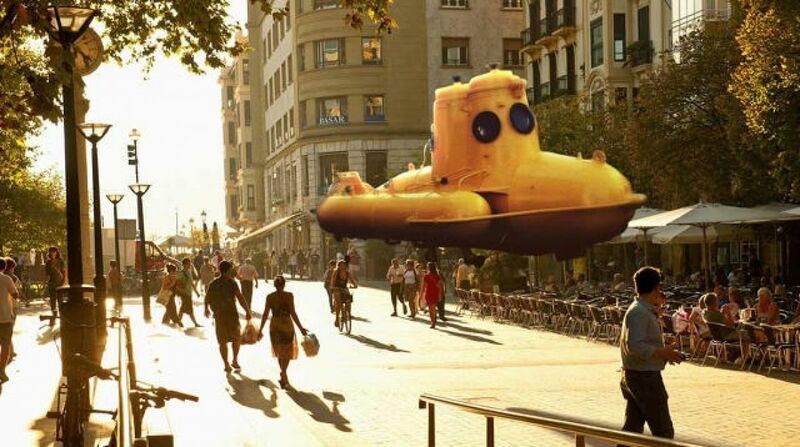 Magic Leap itself has been very quiet about what hardware its augmented reality software will actually run on. But if one of its biggest investors, Google, launches an accessible, consumer Glass 2, we'll eat our smartwatch if Magic Leap apps and games including Monsta Battle and Flutterboard aren't a big part of that experience. StartUp Legal's founder Mikhail Avady, who has followed Magic Leap's recent AR content trademark applications, told TechCrunch: "I believe Google wants Magic Leap to be the content provider for Google Glass. If we look at their trademark applications, it shows very story and content based trademarks. Magic Leap wants to turn the world into a movie theater and Google wants it to be through Glass." This is all speculation at this stage but it's speculation based on research, investments and patents so you know, it's the safest kind on which to pin your hopes and dreams for the future of augmented reality.